They left during the middle of the night – oftentimes carrying little more than the knowledge that moss grows on the north side of trees. An estimated 100,000 slaves between 1830 and the end of The Civil War in 1865 chose to embark on this journey of untold hardships in search of freedom. They moved in constant fear of being killed outright or recaptured then returned and beaten as an example of what would happen to others who might choose to run. 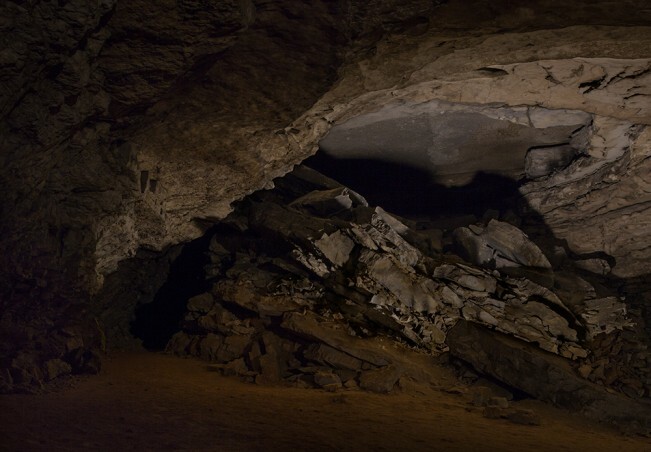 Under the cover of darkness, ‘fugitives’ traveled roughly 20 miles each night traversing rugged terrain while enduring all the hardships that Mother Nature could bring to bear. 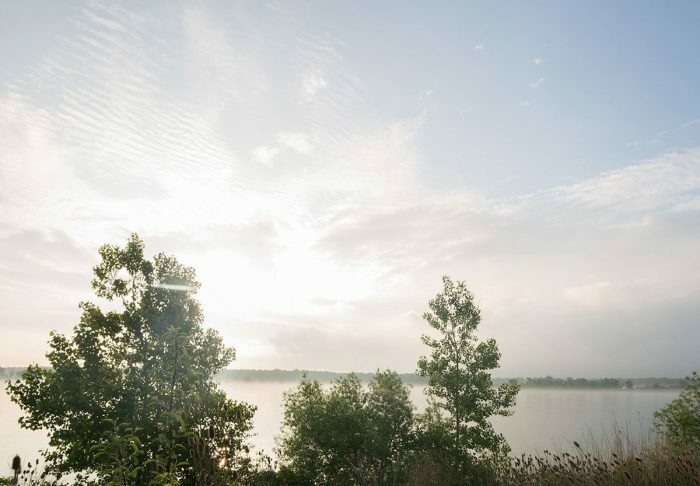 Occasionally, they were guided from one secret, safe location to the next by an ever-changing, clandestine group known as the Underground Railroad. Whether they were slaves trying to escape or free blacks and whites trying to help, both sides risked everything for the cause of freedom. From the cotton plantations just South of Natchitoches, Louisiana all the way north to the Canadian border, this series of photographs can help us imagine what the long road to freedom may have looked like as seen through the eyes of one of those who made this epic journey. Much like fellow Hoosier Michna-Bales, I grew up hearing about how Indiana played a role in the Underground Railroad. 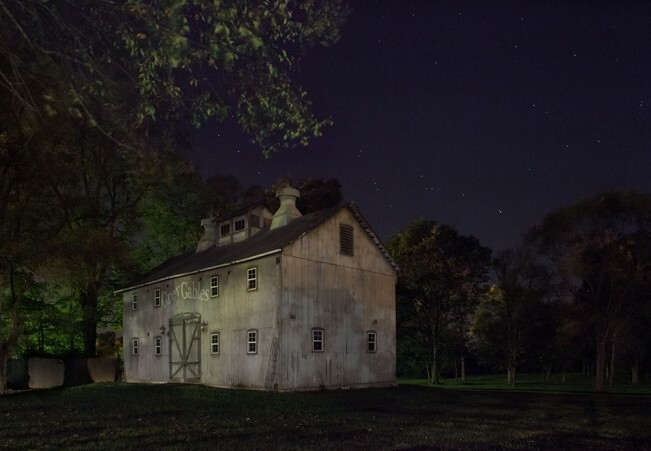 I recently found myself travelling at night through some of the same towns listed in Michna-Bales’ photographic journey. 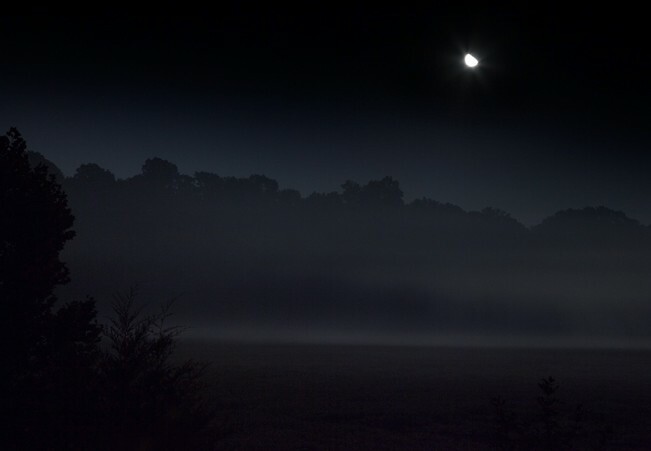 Both Richmond and rural Centerville, Indiana appeared and disappeared in the headlights of my car while travelling recently on a clear, starry night. Driving these lonely country roads made me think about trying to navigate those same hills, valleys, and rivers with only the stars as a guide. 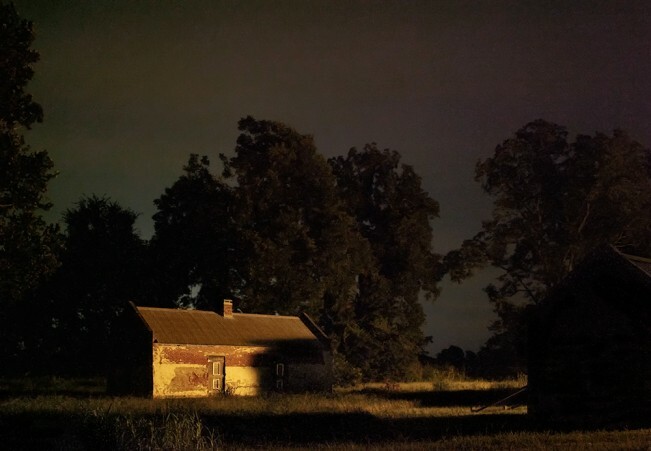 As she mentions in her introduction, Michna-Bales’ experience of shooting her photos at night made her think about how she felt history surrounding her, and how strange and forbidding these remote places must have felt to the people making the journey. These words were on my mind as I travelled silently through the same countryside as so many had done before me. Michna-Bales photographed numerous locations along a journey from Louisiana to Ontario, Canada. 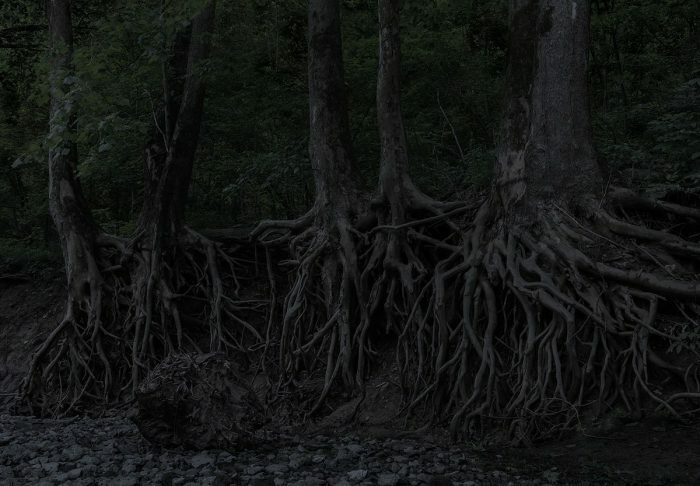 Her mysterious, haunting images of Underground Railroad locations are printed in the book on black paper stock, which intensifies that feeling of strangeness and uncertainty. The images emerge from the darkness and give even greater importance to the light captured during her long exposures. That same light was the guide and the hope that so many oppressed people were drawn by, and moved toward freedom. 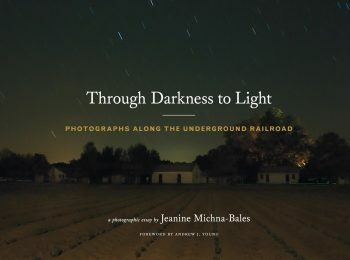 I was especially glad to be able to review this book during Black History Month, and bring attention to this project and Michna-Bales’ photography. The book includes text by Fergus M. Bordewich, Robert F. Darden, Eric R. Jackson, and Andrew J. Young. Young is a former congressman, diplomat, and member of the Southern Christian Leadership Conference as a key strategist and negotiator in the Civil Rights movement in the 1960s. Through Darkness to Light is a wonderful collection of researched historic documents, engaging photographs and text that creates an insightful narrative to events that occurred over 170 years ago. When one considers how many people are still fleeing oppression and moving toward freedom around the world, the Underground Railroad is just as poignant today when seen through the lens of present day social injustice. The desire for freedom and the interracial assistance of others was, and is, an important lesson to be told and retold.